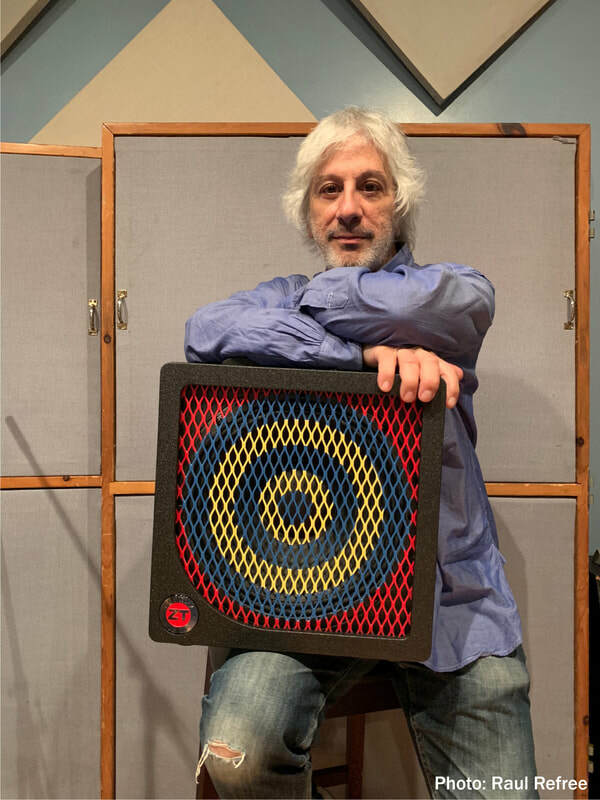 Our artist model from the Sonic Youth guitarist Lee Ranaldo just picked up a Premier Gear award from Premier Guitar magazine (link above). Lee Ranaldo's contributions to guitar-based music are indisputable. A true member of the New York City underground, he is best known as co-founder and member of famed band Sonic Youth -- the hugely influential group where Ranaldo and fellow guitarist Thurston Moore did no less than invent a new language for the electric guitar. The strands of Sonic Youth's hugely-influential musical DNA have since proliferated far and wide, further mutating through Ranaldo's equally singular, stylistically divergent, and definitive solo work. Lee has used ZT amps since 2010, and his favorite has always been our original 12” Club combo (made from 2010-2013). Since his old amp now looks like it’s been thrown down a dozen flights of stairs, we had an idea -- why not work together to design his dream amp? After plenty of back-and-forth, we are proud to introduce the Lee Ranaldo Club. A true collaboration, every detail of this amp -- the sonic palette, the Jasper Johns-inspired target design, every turn of every knob -- comes directly from Lee himself. Offering 220 watts of power, the custom-designed neodymium driver delivers all the headroom you’ll ever need. It's a fantastic pedal platform -- a must for Lee's wide-ranging tonal explorations, with a textured black finish is built to withstand punishment like a true road dog. And like all ZT amps, everything is contained in a deceptively lightweight, compact combo. ​ZT Custom Shop products are hand-built in our lab in Benicia, California. We source components as locally as possible, and every major part is made in the USA. Each Lee Ranaldo Club is individually autographed by Lee himself. The Lee Ranaldo Club is priced at $1,499. Shipping is free within the United States. Current lead time to ship from time of order is approximately 2 weeks.